Francis A. Burdett was my grandfather's uncle. He was born in Birmingham, England in 1862. His family came to America when he was a toddler and eventually came to live in the area of Providence, RI. Like his father before him, Francis became a jeweler and watchmaker, establishing a busy shop in Providence. He enjoyed a prosperous career until, at the age of fifty years, he was injured in a streetcar accident which resulted in his becoming blind. Unable to pursue his trade any longer, he and his wife moved to Wayne, New Jersey to live with their daughter and her husband, William Vahrenkamp. After suffering initially from depression, Francis´ positive and cheerful disposition took over, enabling him to begin the daunting task of building a two-story Dutch Colonial home for his wife and himself while completely blind. The story made national news, and was covered in newspapers coast to coast. People came from all around to watch him work. Many came to try to debunk the story, but all went away amazed. His son-in-law chronicled his efforts with words and photographs, and self-published the book, The House Built in the Dark. In this book, you can read the details of how Francis managed to find ways to use tools and find methods to overcome his total sightlessness in order to complete the job. The house was completed and the book published in 1928, just before the onset of The Great Depression. 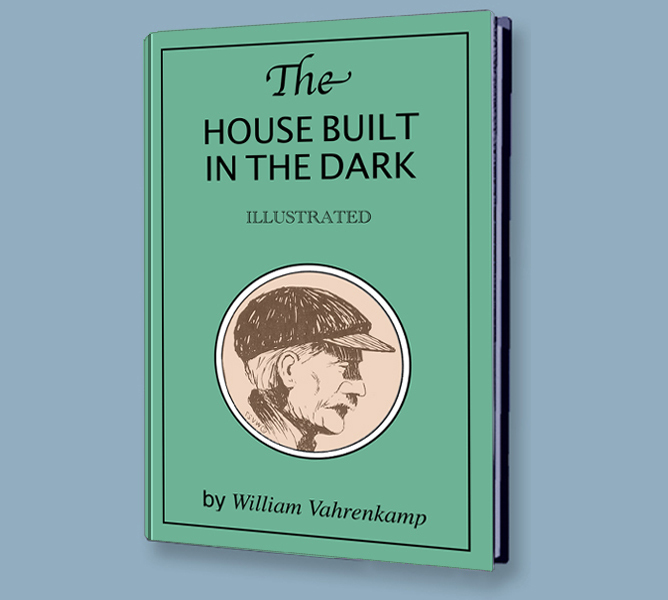 William Vahrenkamp´s book is reproduced here to keep this amazing story alive. To see more rare and unusual e-books, visit <a href="http://earlyamericans.us/">http://earlyamericans.us/</a> .